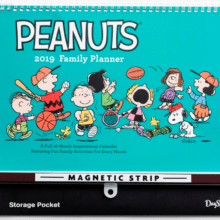 Seeing the 2019 DaySpring Calendar Planners Sale email today has me adding a new calendar specifically for my letter writing area, more on that in a minute. I’m counting over fifteen rows of four calendars each among the 75% off items in the DaySpring Calendar Planners Sale! Knowing I will be marking my new calendar with InCoWriMo February 2019 sends and arrivals on its calendar page blocks is adding a visible dimension to my letter writing log keeping. 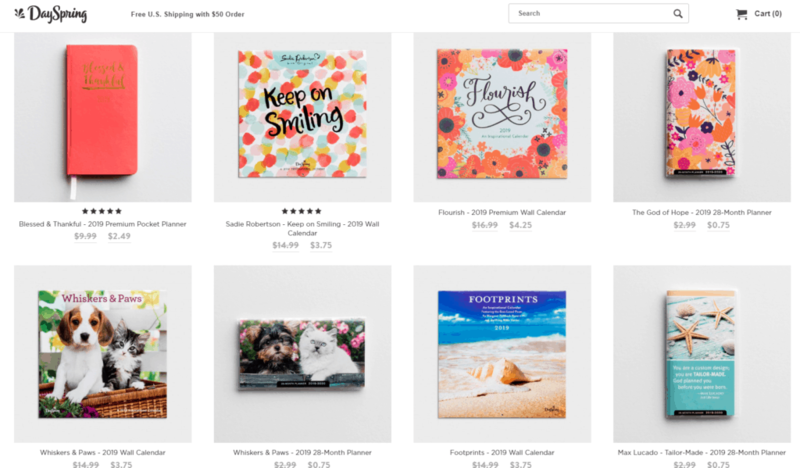 This is the DaySpring 75% Off 2019 calendars link. 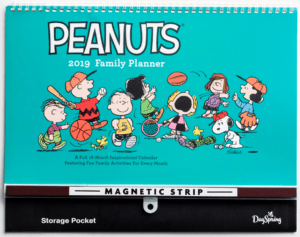 –The Peanuts – 2019 Family Planner Wall Calendar, spiral bound, is on sale for a little over four dollars instead of seventeen. 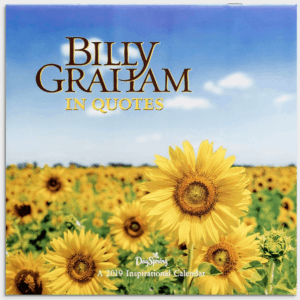 –Billy Graham In Quotes – 2019 Wall Calendar is on sale for less than four dollars instead of fifteen. -Amazing sale price for calendar stickers for seventy-five cents (set of 312!). -There is a 2019 12-Month Premium Appointment Planner Refill for $2.49 instead of $9.99! -Among the sale items are calendars with horses, Footprints, 28-month planners, wall calendars, and agendas. I’m including a partial snapshot of some of the items in the DaySpring Calendar Planners Sale. The month of January is almost over; however, it is perfect timing for picking up at least one (or more) new calendar for long term planning! Join me tomorrow as we wrap up the month with my January AnchoredScraps daily posts recap. See you then – go ahead and mark your calendar!